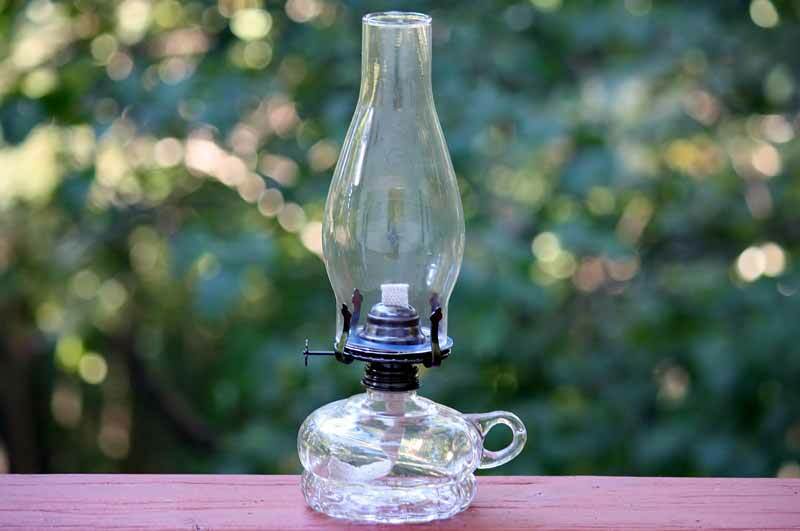 This beautiful old fashioned oil lamp is the perfect kerosene lamp for after sunset lighting. It's the perfect size for a bed side table or mantle. The large, sturdy base features a finger hole for easy carrying. Add lighting and rustic style with this one-of-a-kind design!